The choice of your college is the most critical decision you would make before beginning your MBA. However, the city you choose is an important consideration, if not equally important, to your eventual success as an MBA aspirant. The city you choose visibly impacts the factors of a good student experience such as safety, accessibility and general friendliness. Further, more nuanced factors such as the Return on Investment, Industry interface and economic vibrancy depend greatly on the place chosen. With that context and guiding scale, below is a list of the top 5 cities that you should be considering while deciding a college to pursue an MBA from. Ahmedabad is now listed as the third fastest growing city in the world. With its emphasis on manufacturing and trade, it also lies way ahead of most Indian cities in its contribution to India’s Export numbers, hence making one of the greatest contributors to the GDP. This makes it an excellent place for students of management and business to gain access to high-profile linkages through the many summits and symposiums that queue up the city’s calendar. In Management research and education, the city’s prestigious IIM has been a leader in the discipline. The institute has attracted scores of brilliant talent from all across the world who engage in cutting-edge management research and training for students at all levels. This has built a repository of knowledge and insight that can be explored by students from other institutions as well. There have been other management institutions such as the Adani Institute of Infrastructure Management and Pandit Deendayal Petroleum University offer very specialized courses within management. Such specializations give an edge to students over the others when competing in the same domain of industry. The city has also been ranking consistently high on surveys that gauge places on their friendliness and livability, and has been perceived as one of the safest Indian cities to live in. It has innumerous student clubs, theatre groups and a range of other student led initiatives! The only city that made to the English dictionary as an independent word, Bangalore is the “Silicon Valley of India”, and that naturally opens an array or state-of-the-art organizations and their headquarters to the students who wish to explore careers in them. These organizations attract not only a large talent and knowledge pool to their service but also inspire a host of complimentary start ups that provide consulting solutions in different management domains. Students pursuing MBA in Bangalore thus have a vibrant choice of options to choose for their internships and other research projects. 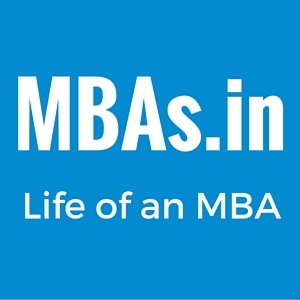 Bangalore has many important management institutions apart from the well-known IIM. Institutions such AIMS have been offering high-quality management training through a robust yet flexible curriculum. It hosts a great league of experience full-time and guest faculty who bring their brilliant insight to the classrooms. The city is also boasts a colorful cultural buzz that engages the youth through its varied activities in the fields of art, theatre, music and culture. Student clubs and organizations are scattered all over the city for MBA aspirants to take advantage from, either as a break or as an auxiliary to their education. The Bangalore nightlife’s popularity is also another attraction. Being the epicenter for India’s political and International dynamics, Delhi offers students a vantage point into the vast horizon of Indian structure. Since the Capital Territory has expanded to include adjacent landscapes, many high-profile infrastructure and public relations organizations have their headquarters in Gurgaon and Delhi. This has also attracted a massive upgrade in its infrastructure and amnesties. For MBA students more inclined to participate in careers relating to managing public enterprises, the city has a lot to offer. Students also are given opportunity to observe political movements from a close distance and gain management insights from their stories. Another very important factor that makes Delhi a good option for students aspiring for an MBA education is that the Return on Investment is swifter and more efficient. This is because of public owned high-ranking management institutions such as the FMS that have subsidized fee for students and yet high average domestic salaries. The famed public transport is also a relief for students who commute to their colleges. However, the rise of crimes in Delhi has rightly downgraded its rank in the list of safe places. The city also has a vibrant cultural and social life, offering students a variety of avenues to explore such as art, theater and music. The famous Delhi street food is also an exciting affair! The fifth-largest contributor to the national GDP, Hyderabad recently shook off its slumber from political chaos to return to its old economic glory. Hyderabad has been the biggest innovators in Information Technology and houses the headquarters of IT giants such as Facebook, Microsoft and Google. It also prides an impressive list of top financial consulting firms such as Broadridge and Deloitte. This makes it a very exciting platform for management students and researchers. In bio-technology and pharmaceuticals too, Hyderabad titles as the Genome Valley of India. The industry presence in the city adds to the local business schools’ placement drives due to geographical proximity. For management students specializing in these areas have a brilliant opportunity of access to many institutions. The city has also been expanding its commitment to developing Special Economic Zones of different domains, making it a high employment zone for managers. The Indian School of Business is nestled in Hyderabad, which ranks as one of the top five business schools. There are many other great business schools in the city with great repute and robust teaching methods. Students in Hyderabad have access to very efficient public transport systems and other infrastructures such as the gorgeous new International Airport. Hyderabad has also been recently ranked as the most preferred city to live, for its cosmopolitan flavor, warmth to new migrants, safety and a vibrant nightlife. Added to this, its old world charm, cuisine and poetry are an extra extension to a MBA student life in Hyderabad. Mumbai is the wealthiest city in India, and the capital of its commercial and entertainment activity. It is a financial powerhouse that contributes 70% of the nation’s capital transactions. The Reserve Bank of India, Bombay Stock Exchange, National Stock Exchange and SEBI have their headquarters here, making it an amazing climate for students looking to undertake financial management. Its high standard of management education through institutions such as XLRI, Jamanlal Bajaj and S P Jain is, needless to say, a great option for students to explore. Its colleges have access to industry lectures from business practitioners of leading organizations in Manufacturing, Health, Consulting and others. The city has a beautiful migrant culture and is thus very friendly to people coming from different ethnic backgrounds. It caters well to the student needs by providing plenty of entertainment options through clubs, theatre groups, art houses and other activity centers. Mumbai is also ranked as one of the safest cities to live in, as per the recent survey conducted by a leading Indian newspaper. There are other important cities like Pune, Kolkata, Chennai, etc. who have their own reasons for being a good choice of destination for prospective management students. But the top 5 cities that we have mentioned score great on multiple factors, making them an amazing place not just through the MBA phase – but also in terms of the post-study opportunities and general flavor of life they offer. I am a voracious reader and like to keep abreast of current affairs on education, technology and innovation.